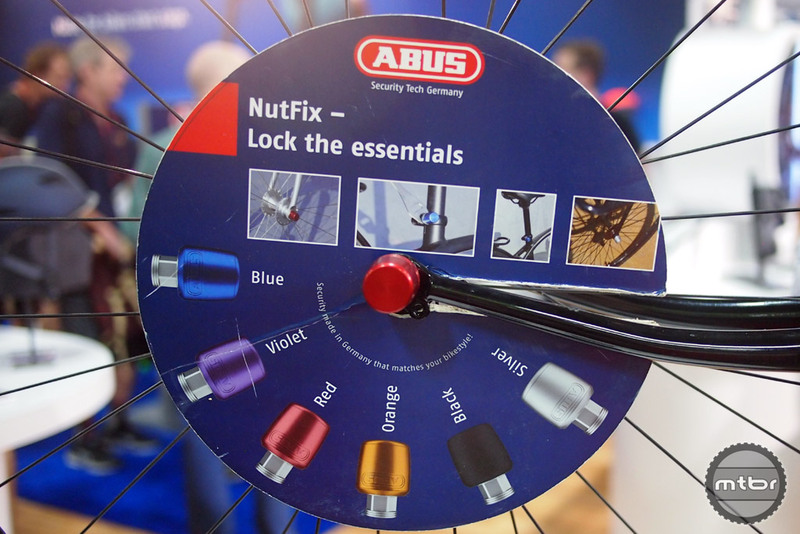 ABUS has an array of colors for their new Nutfix quick release and seatpost clamp locks. 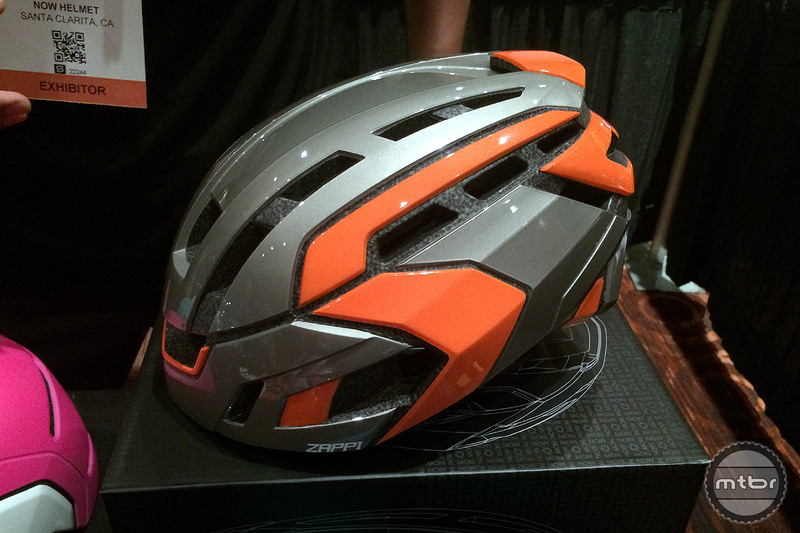 Every year before the main show starts, Interbike holds an event called the Media Preview. There are about 30 new companies on hand showing their wares and innovations for small guys just starting out. Most of these products are from inventors that can’t necessarily afford to have a full blown booth of their own for the duration of the trade show. The offerings vary from the eclectic and whacky to the interesting and intriguing. But there are also a handful of more established brands on hand to help provide a sense of familiarity. 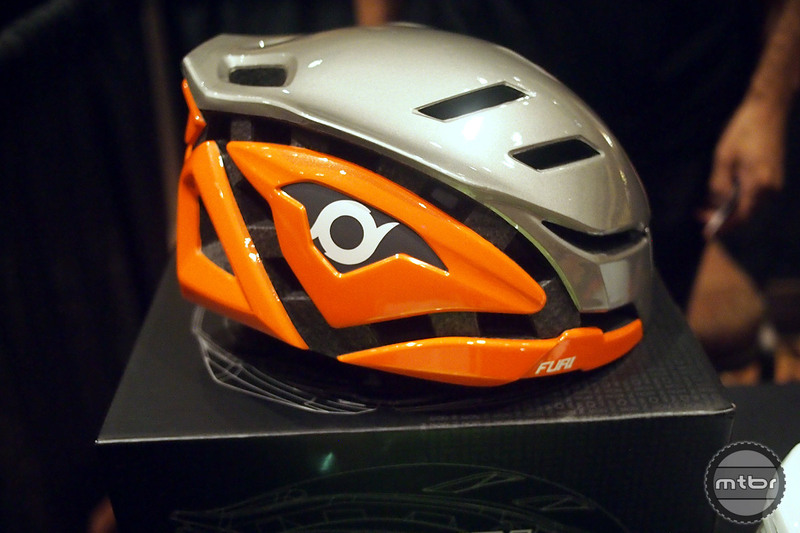 Highlighted here is just a sample of what we saw from G-Form, Polar, GoPro, Now Helmets and ABUS. 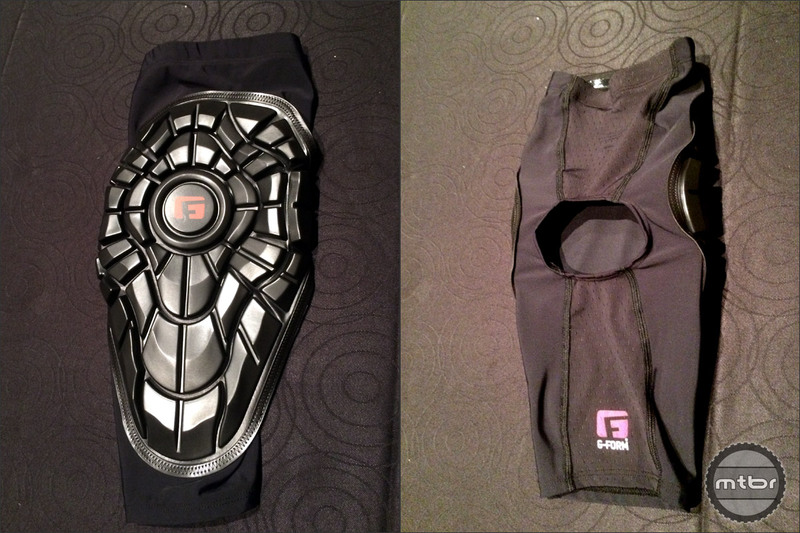 G-Form has created a burlier pad with thicker armor, better coverage and better fit and ventilation. 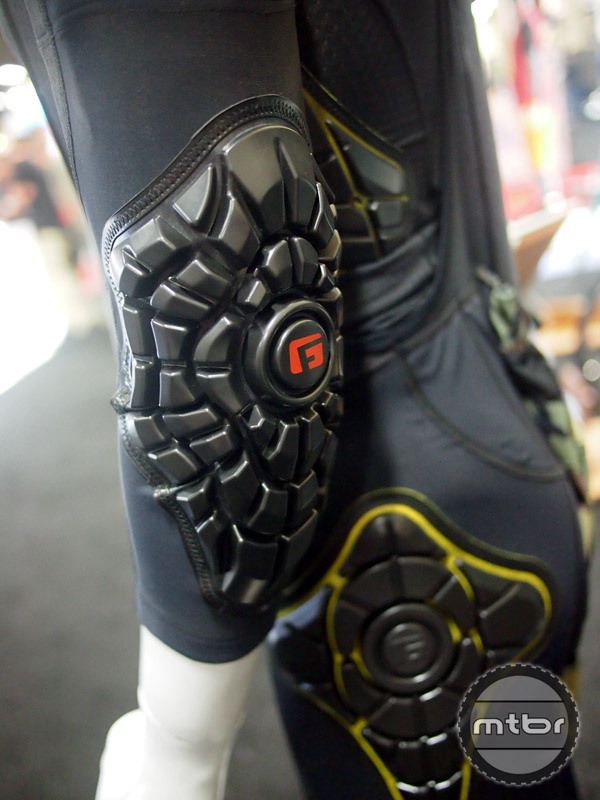 G-Form was on hand showing their all new Pro Elite elbow and knee pads that provide increased coverage and thicker pads. These were developed with input from EWS racer Tracey Mosley and MTB legend Brian Lopes. Both are CE certified so they can be used by moto riders. The backside has been opened up with a cutout and better ventilating material. The ventilating material is hour glass shaped to provide better grip. For the elbow pads, there is also a band of gripping material around the top and bottom on the inside. These will be available in January and the pricing will be $89 for the Pro Elite Elbow pads and $99 for Pro Elite Knee pads. Polar’s M600 sports smart watch is loaded with features like GPS, optical HRM and works with third party apps like Strava. 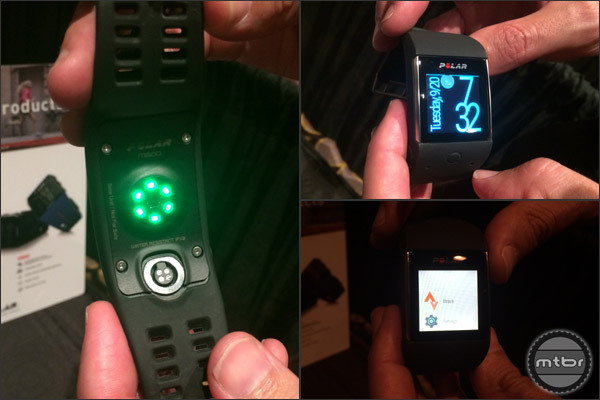 Polar has a new sport oriented smart watch called the M600 that has built in GPS functionality, built in optical heart rate monitor (no need to wear a chest strap) and also serves as a smart watch to pair with your iPhone or Android phone. It supports third party apps like Strava and has full smart watch capabilities like answering and responding to text and emails (and calls) as well as stream your music to your wireless headphones or earbuds. It is also waterproof and comes in white or black. 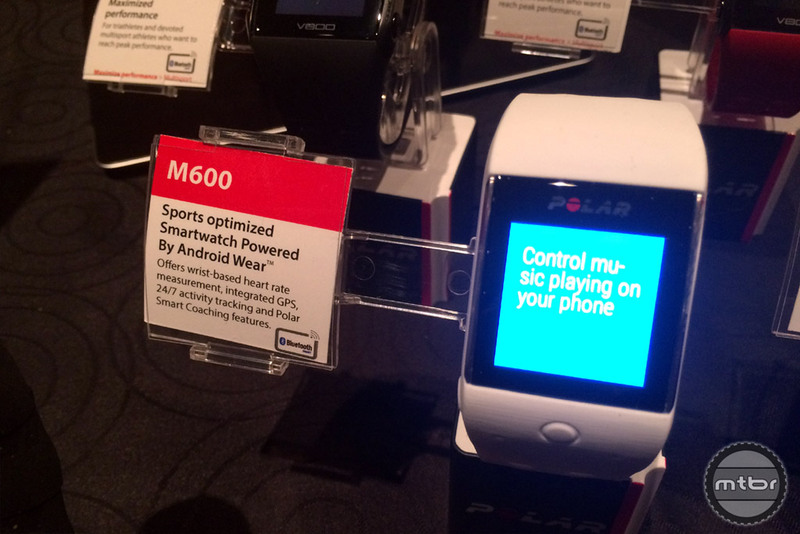 The Polar M600 is available now with a price of $329.95. GoPro has one of the biggest booths at Interbike (if not THE biggest) and the Karma is the reason why. We previously covered the launch of GoPro’s all new Karma drone so we won’t repeat too much here other than to say that in person, the unit is slick. The feel of the controller in your hands is very high quality feeling, very much unlike any video game controller that you might think it looks like. The controller also folds up nicedy and the entire unit folds up into an included backpack. 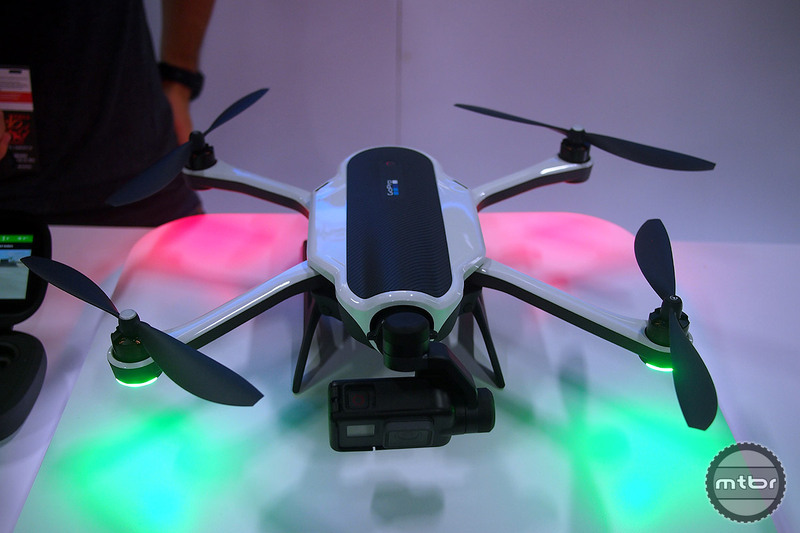 FPV drones are going to be big, especially with the price dropping. Want some FPV stoke? Go check out all the FPV drone racing videos on YouTube. Sick stuff. 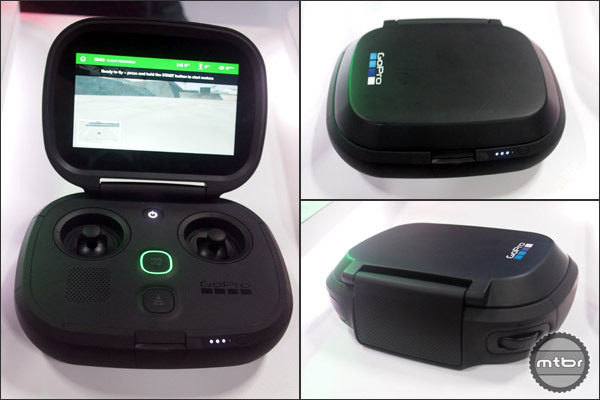 The GoPro Karma will be available starting October 23 for $800 (without camera) or $1100 for the drone and a HERO5 Black POV camera. There is also an option to purchase the drone and a HERO5 Session for $1000. 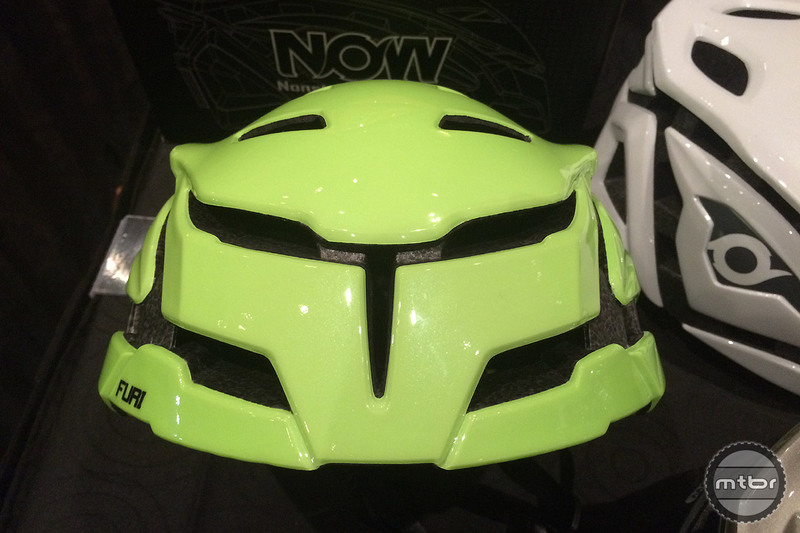 Now Helmets is a new brand with some interesting helmet designs. Now Helmets is a new brand based in Socal that is breaking out on the market with two helmets that feature light weight and an aerodynamic design. The Furi is an interesting shape, but the in-molded helmet weighs 250 grams for a size XL with a medium (the usual size tested when manufacturers give weights) coming in about 30% lighter. The Zappi is also designed for light weight with an aero shape. The Now guys explain that the helmets have been wind-tunnel tested and are comparable to most of the current helmets in the category. When asked why the helmet features such a pronounced “fin”, Chief Marketing Officer Michael Kim explained that it is to help provide stability at high speed. Downforce makes sense when referring to race cars or motorcycles, but we are not sure the speeds of most cyclists would warrant a need for such a shape. Also, it seems that the unique shape could also create more rotational force during a crash (it could get caught in the dirt or asphalt and result in a twisting of the riders head). However, the helmets are indeed very light. The Furi and Zappi are both available now direct from Now Helmets. The Furi is $218 and the Zappi is $198. ABUS is moving beyond bike locks to locking your components. 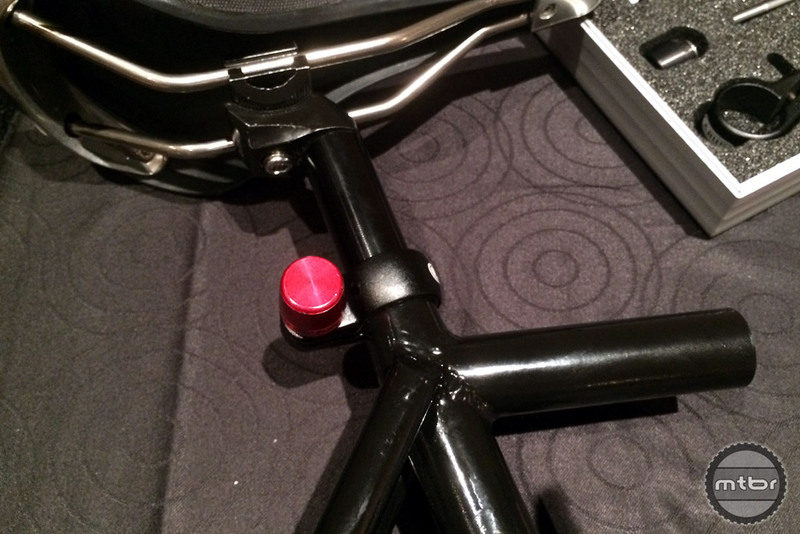 The Nutfix design is used on wheel skewers and seatpost clamps for security. 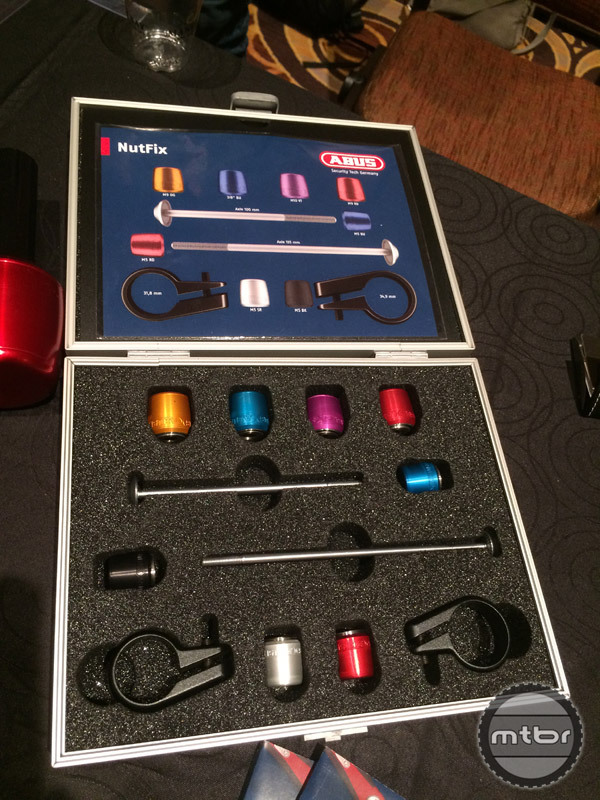 German bike security brand ABUS was on hand showing some of their latest products. Moving beyond just locking your bike, ABUS can also help protect your bike’s components. The Nutfix is an interesting design that they are using to help secure your wheels and your seatpost. The Nutfix uses a ballbearing system that keeps the nut from gripping unless it is held horizontally (which, if your bike is properly secured, shouldn’t be possible). Both of these products will be available in January. The ABUS Nutfix Solid Axle will retail for $34.99 per wheel or $69.99 for a set. The Nutfix Seatpost Clamp/Lock will retail for $44.99. 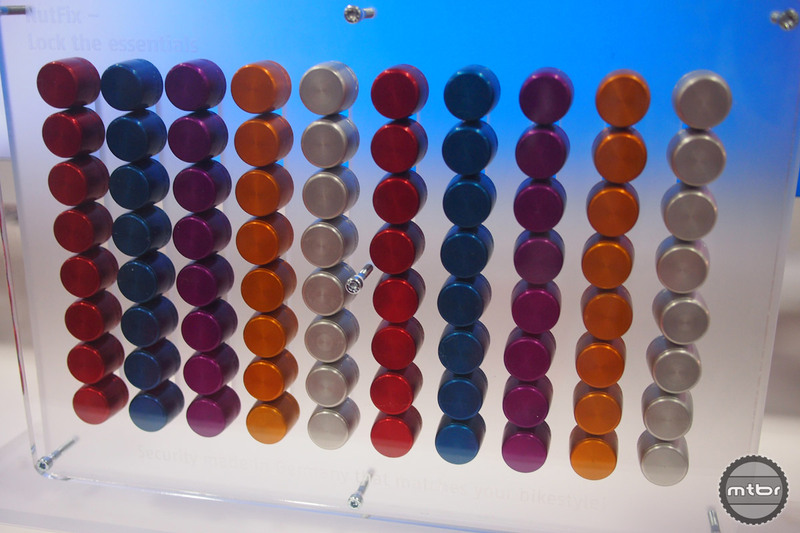 We also have to give credit to ABUS for what is always the single hottest piece of swag at the show. No doubt it’s not cheap to giveaway 1,000 backpacks, but seeing your brand on the backs of what seems like every other show goer provides a LOT of branding. Best promo swag at Interbike, every year! 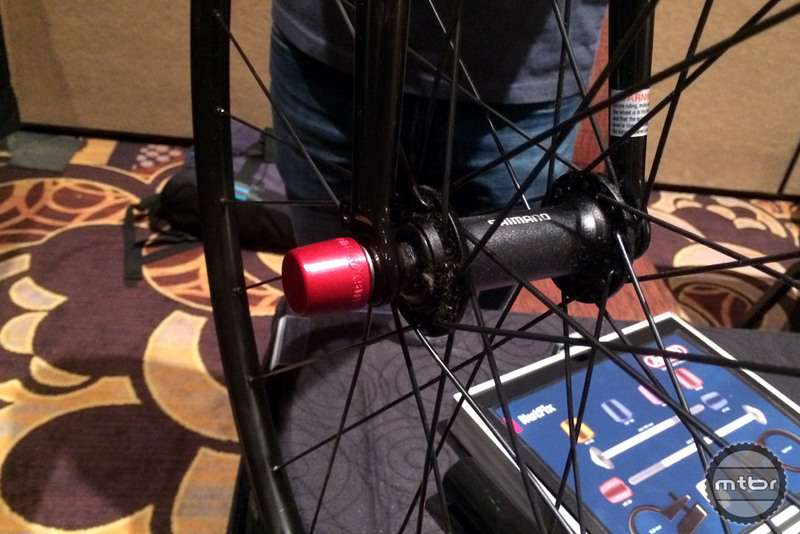 This article is part of Mtbr’s coverage of the 2016 Interbike trade show in Las Vegas. 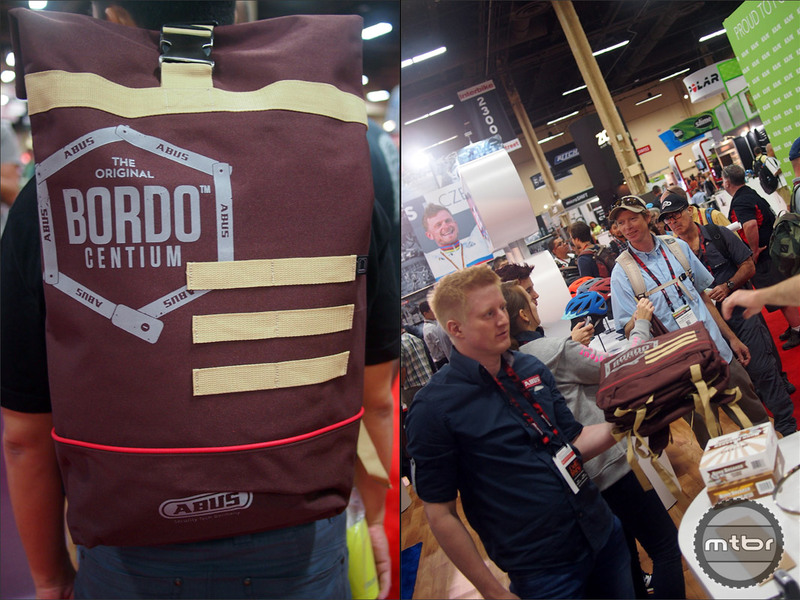 For more from Interbike CLICK HERE.